If you have chosen to use Blogger Pages and have added a Page List gadget to your template, this will be shown in the position it appears in your site. At present, six variants each of the Simple and Awesome templates are available as Mobile Templates. If you're using one of these Blogger Template Designer templates, the mobile version of your site will appear styled in the same manner as when viewed on your desktop. If you use a different, third party or customized template, the mobile version of your website will adopt the Simple template appearance. 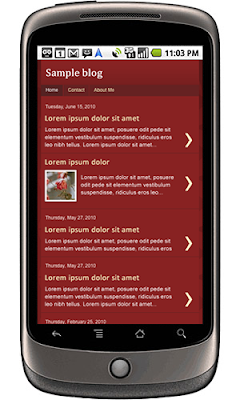 I'm pretty sure we'll be able to customize the appearance of our Mobile Templates by adding custom CSS, which I'll write about in a future post once I've experimented a little. 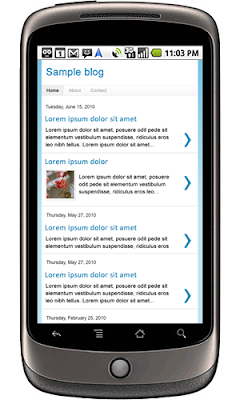 Currently Mobile Templates are an experimental feature available through Blogger in Draft to which we must opt-in. Log in to your Blogger dashboard via Blogger in Draft, then go to Settings>Email and Mobile. Check Yes to enable Mobile Templates, then scroll down to the bottom of the page and click Save. Once you've saved this setting, anyone who visits your website using a mobile device will be automatically redirected to the mobile version of your website. 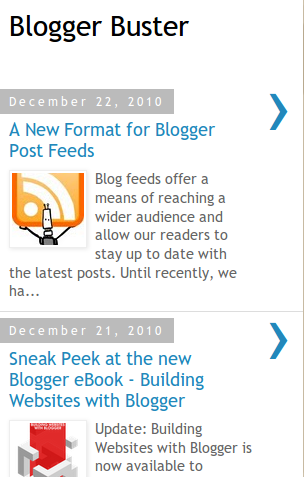 Do you like the new Mobile templates, and have you enabled them for your own Blogger site?